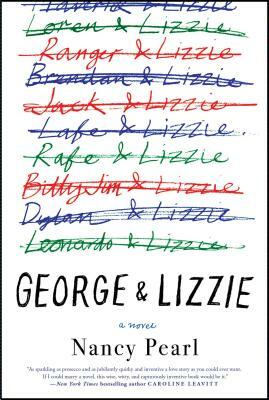 George and Lizzie is an intimate story of new and past loves, the scars of childhood, and an imperfect marriage at its defining moments. George and Lizzie’s love affair, if you could call it that, is messy and, more importantly, human. As people, they could not be more different … Pearl...weaves Lizzie and George’s past and present effortlessly and constructs a narrative that connects with the reader. Lizzie and George are not just fully fleshed out characters but familiar. Pearl skillfully explores love in its many facets — true, unrequited, long-standing, parental, platonic and love for oneself. In the end, George & Lizzie is a tribute to love, warts and all. Sailing along with George & Lizzie, I often clutched at its sides, sure the vessel’s rigging was off-kilter. Occasionally I felt queasy, unsure of the direction we were heading. But the prose was sturdy and the subject matter provocative. Pearl makes regular references to other books, and I clung to our shared favorites (like Dodie Smith’s old-fashioned tale of English girlhood, I Capture the Castle) as if to a life preserver … Offering oneself up for the pleasure of a team of football players has to be one of the weirdest premises ever devised for a romantic novel. Pearl’s steering may be off, but let it not be said that she’s afraid of uncharted waters. At heart, the book is the story of the couple’s marriage and the question of whether Lizzie can transcend her emotional walls, but we learn the details through storytelling vignettes that smoothly spool back and forth through time. That style and the 1990s setting lend the story a slightly formal, old-fashioned quality, allowing plot twists that 21st-century advancements might have eliminated … The pace is abrupt at the very beginning, then settles down to a relaxed back-and-forth survey that skims through the character’s lives, inching the story forward here and pausing to develop a detail there. It’s a surprisingly delicious read considering how many of the main plot points are revealed in the first few pages. What did you think of George & Lizzie?